The appellant prisoners claimed that their continued detention breached the Article 5, and in one case Article 14. The courts at first instance had been obliged to dismiss the claims under Article 5 in the light of the House of Lords decision in R(James and others) v Secretary of State for Justice  UKHL 22,  1 AC 553, notwithstanding that Strasbourg subsequently held in James, Wells and Lee v United Kingdom that the House of Lords decision was wrong. 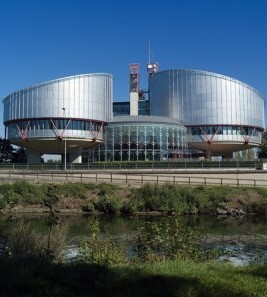 One of the first instance judges had also held that the decision of the House of Lords in R (Clift and others) v Secretary of State for the Home Department  UKHL 54,  1 AC 484 obliged her to dismiss the claim for breach of Article 14 (taken with article 5), notwithstanding that the Strasbourg Court subsequently held in its decision in Application No 7205/07 (unreported, 13 July 2010) that this House of Lords decision was wrong too. The first appellant, K, had been sentenced to imprisonment for public protection for offences including robbery. He complained that once his minimum term had expired the respondent secretary of state had delayed in providing him with a suitable course that would afford him a reasonable opportunity to reduce the risk of his reoffending and thereby persuade the Parole Board to direct his release. He claimed that the delay in providing a suitable course was a breach of a public law duty at common law, and that the resultant prolonged period of his detention was a breach of his rights under Article 5. The second appellant, H, was serving an automatic life sentence for robbery. He claimed that after the expiry of his minimum term, the delays in his transfer to open prison conditions (a condition for his being realistically considered suitable for release), meant that his continued detention was arbitrary and in breach of Article 5, and of Article 14 in conjunction with Article 5 in that he had been treated less favourably than a comparable post-tariff prisoner solely on the basis of his status as a pre-tariff indeterminate sentence prisoner. It was common ground that, in the light of Kay and others v Lambeth London Borough Council  UKHL 10, both judges had been right to regard themselves as bound to follow the House of Lords decisions, nor was it argued that this was an exceptional case which would justify departing from the general domestic rules of precedent. It was also clear that, although the Court of Appeal was obliged to follow the House of Lords decisions, it could (but was not obliged to) review the Convention arguments and express its views on them. [emphasis added]. Both appeals were dismissed, but permission was given to appeal. Giving judgment for the Court, the Master of the Rolls observed that although there were material differences between the cases, he was not persuaded that this meant they were unsuitable vehicles for the Supreme Court to resolve the conflict between domestic law and that of the Strasbourg Court. I accept that a better case might turn up at some time in the future. But enquiries have been made and these have not indicated that any other case (let alone a better one) is in the pipeline. This important area of the law is currently in an unsatisfactory state. The problem can only be resolved by the Supreme Court. The issue of whether the Supreme Court should follow either or both of the Strasbourg decisions in preference to its own relatively recent decisions was one pre-eminently for it to determine. Our courts are required by section 2(1) of the Human Rights Act 1998 to do no more than “take into account” the relevant Strasbourg jurisprudence. In these circumstances, whether the Supreme Court decides to follow Strasbourg raises policy questions of some delicacy. I see no point in second guessing how the Supreme Court will approach the question. Therefore the Court of Appeal declined to consider the substance of the Convention claims. As for K’s claim in common law, the only public law duty to be derived from the decision in James was the duty, which was implicit in the legislative scheme governing the release of prisoners sentenced to indeterminate sentences, that the Secretary of State would make reasonable provision to enable them to demonstrate to the Parole Board (if necessary by completing treatment courses) that, after they had completed the minimum terms of their sentences, they no longer posed a danger to the public and that it would be safe to release them. The House of Lords had indicated that the respondent’s failure to make such provision was a breach of public law duty; but that did not make a post-tariff detention that was consequent on a breach of that duty unlawful at common law. A prisoner’s only remedy for such breach of public law duty was to obtain an appropriate declaration. That was not to say that there was not also a public law duty to provide systems and resources in a rational way. The duty to act rationally is a thread that is common to all public law activities undertaken by a public authority. It would be irrational to have a policy of making release dependent on a prisoner undergoing a treatment course without making reasonable provision for such courses. There was also a public law duty on a public authority to act in accordance with its own policy: [R (on the application of Lumba) v Secretary of State for the Home Department  1 AC 245 . However, K’s case was pleaded on the basis of the James duty to provide adequate systems and resources. He did not contend that the Secretary of State had acted irrationally in relation to the allocation of resources for programmes across the prison estate. Instead, he sought to argue that the Secretary of State had acted irrationally in relation to K as an individual on the footing that it is not rational to take 35 months to place a prisoner on a course that is available throughout that period. The judge below had refused to allow him to advance such a case; those were unassailable case management decisions. No evidence had been adduced in the present case to show that the system and resources that were provided were unreasonable or were less than what was implicitly required by the statutory scheme. As to the operation of the system, there was no evidential basis for saying that the system had not operated properly for indeterminate prisoners as a class. The fact that K suffered some regrettable delays in securing access to interventions designed to address the risk that he posed to the public did not demonstrate that the system was unreasonable. That was not to say that a series of egregious delays in an individual case might not be evidence of a deficient system, but that was not how K’s case had been put. The judge below had been right to hold that the pleaded common law claim was based on a breach of the James duty and to dismiss it. I have not read either Corey or Kaiyam and Haney in any great detail, so I could be entirely wrong. Also, whatever Lord Mance said obiter in Corey very probably could not be directly decisive as a matter of precedent (ie, in the conflict between James and Clift (HL) and James v UK, under Kay v Lambeth LBC). However, when Kaiyam and Haney come to the Supreme Court, will not the authority of Lord Mance’s comments in Corey be very nearly inescapable (particularly insofar as they confirm, rather than interpret, James v UK)? On a more adventurous note, could it perhaps even be argued that very strong persuasive authority at the highest level may be sufficient to liberate the Court of Appeal from the strictures of Kay v Lambeth LBC? In other words, could not the combined effect of an ECtHR case clearly inconsistent with HL or SC precedent and of that persuasive authority combine to remove the binding authority of the earlier HL or SC case? I realise that this is not settled law, but given that the Court of Appeal is apparently free to disregard a case of its own if that is flatly contradicted by a subsequent ECtHR case (RJM  1 AC 311, -, Lord Neuberger), the standard rules of precedent do not necessarily seem to be appropriate.